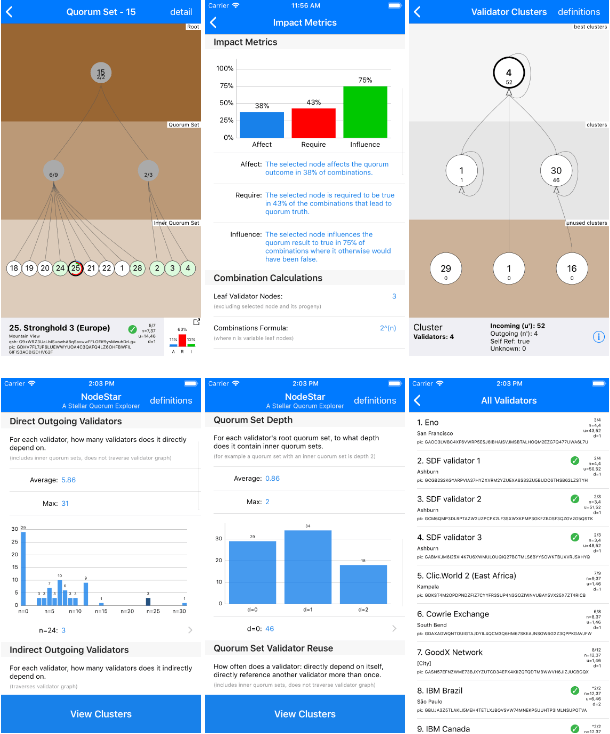 I'm working on an iOS app to graphically visualize the Stellar Network and each node's quorum set. I'm also working on some math to express how important each node is relative to the quorum set and eventually network quorum. Eventually it will include concepts from the SCP white paper like Dispensable Sets etc. Thanks to https://stellarbeat.io/ for letting me use their data. It's on the AppStore ! 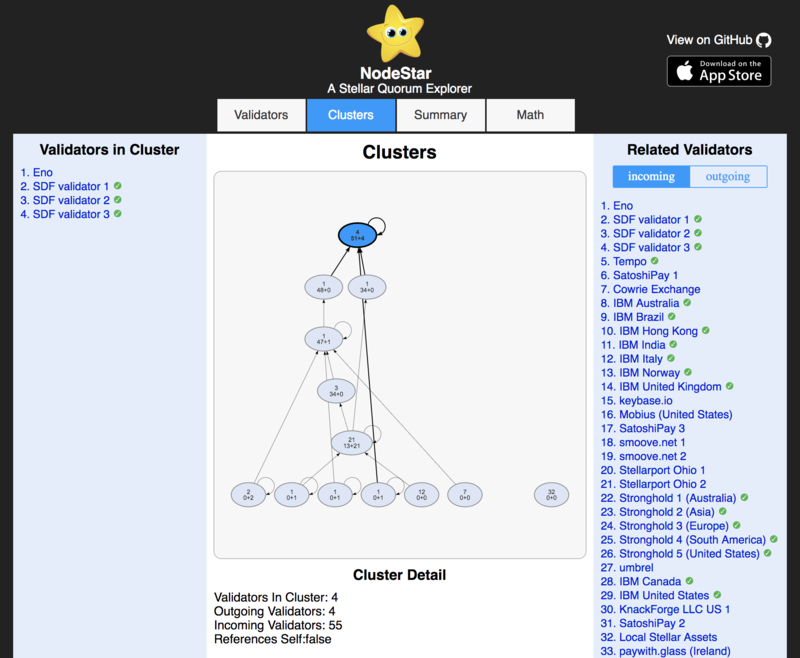 Added ability to explore validator clusters of the entire network. 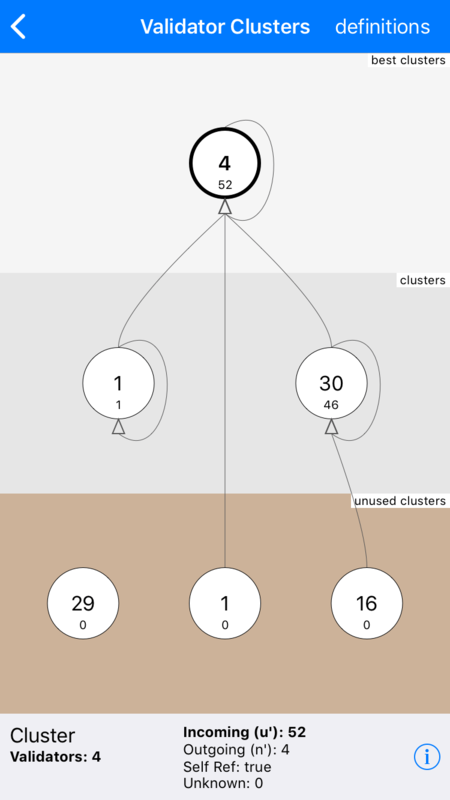 Where a cluster is a set of validators that have identical set of incoming (dependent validators) and outgoing (references to validators) validators including graph traversal. Pretty interesting... I would have thought there'd be more clusters. 1) There are 36 validators with a simple quorum set (depth=1) and 17 validators that use one level of inner quorum set (depth=2) and no validators that use inner quorum sets of inner quorum sets aka depth>2. (see depth chart screenshot) Is it allowed to have inner quorum sets within an inner quorum set aka depth>2 ? 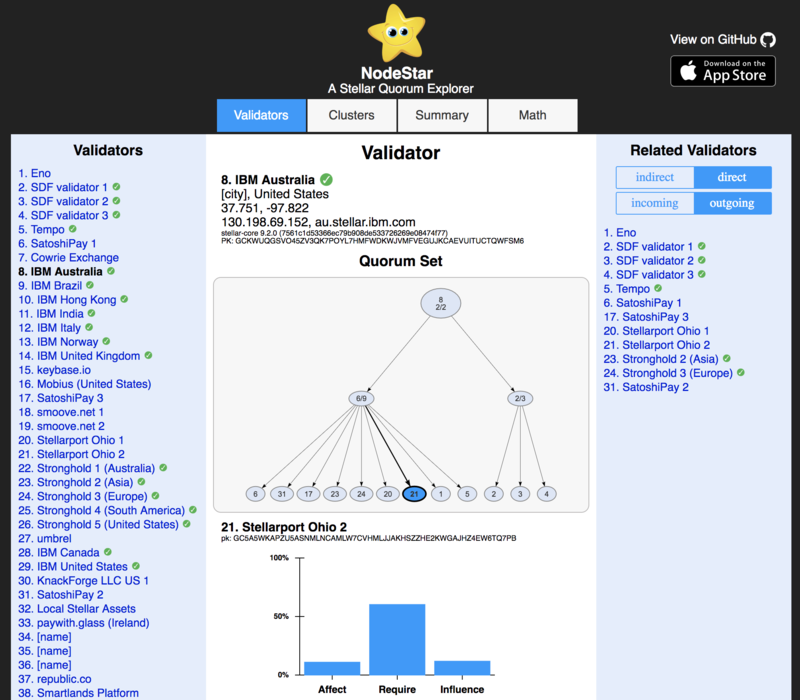 3) Stellar states "Stellar.org doesn't currently run a validator." https://github.com/stellar/docs/blob/master/validators.md is this true? What are SDF validator 1-3 then?